Identity theft has been a hot issue for the past few years. Increasing numbers of Americans are keeping a close eye on their bank and credit card statements, even taking the next step of reviewing their full credit report. However, unless it has impacted them or someone close to them, fewer are aware of the danger of medical identity theft. Our Northern California health care fraud attorney hopes to help increase awareness and to ultimately turn the growing tide of identity crimes. Often medical identity theft is a component of a Medicare fraud scheme or other type of health care fraud aimed at stealing from the already-limited coffers of government and private health care programs. In addition to hurting the health care system generally, medical identity theft can have serious, even life-threatening consequences for the targeted individuals. A recent report from Kaiser Health calls medical identity theft the “most virulent” strain in the plague of identity theft. 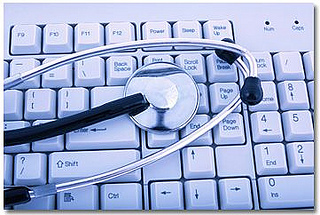 Medical identity theft involves the fraudulent acquisition of an individual’s personal identification information (i.e. social security number, health insurance identification number) in order to illegally obtain medicine, medical devices, insurance reimbursement money, or other medical services/financing. Kaiser cites a survey finding 43% of identity thefts nationwide in 2013 were related to medical matters, making medical-identity theft more common than that involving banking/finance, government/military, or education matters. What are the dangers of medical identity theft? Broadly, medical identity theft can result in fraudulent payments depleting Medicare and other funding streams. It can also supply the growing illegal trade of prescription medications, a trade that has led to addiction problems, impaired driving accidents, and numerous other threats. For the individual whose identity is compromised, financial repercussions include being incorrectly billed for services, drugs, or medical devices, as well as the high cost of repairing altered records. Of even greater concern for the individual are the possible health-related consequences of medical identity theft. Individuals may struggle to obtain needed medical care because of fraudulently depleted benefit plans. Further, physicians may rely on inaccurate records and provide inappropriate treatment, especially in an emergency when the individual cannot clarify matters. This can life-threatening. For example, an actual allergy may be missed, the wrong blood type may be administered, or a useful treatment may not be provided because of concerns sparked by the false record. Late last year, the California Attorney General’s Office authored “First Aid For Medical Identity Theft — Tips for Consumers.” The article details five signs that a consumer has been the victim of medical identity theft: Receiving a breach notice from your insurer; Spotting an unfamiliar item on an Explanation of Benefits disclosure; Receipt of an unexpected notice that you reached a benefit limit; Being contacted by a debt collector; and Unusual questions from your provider (i.e. an intake nurse mentions an incorrect birth date). The article links to other guidance on responding to identity theft and provides form letters consumers can use if they’ve been the victim of medical identity theft. We highly encourage anyone who believes their medical identity has been compromised to contact legal counsel. You should not have to deal with this alone! We also encourage individuals who believe they have witnessed this form of medical fraud (ex. an employee who notices a pattern of records being altered to include treatments not actually provided) to come forward and report their concerns. We work with victims and whistleblowers (of course, victims can be whistleblowers too!) as a California law firm for health care fraud in San Francisco, Oakland, Santa Rosa and San Jose. Call to schedule a consultation. Note: Any information you share is protected by the rules of attorney-client confidentiality, even if you don’t end up working with our firm.